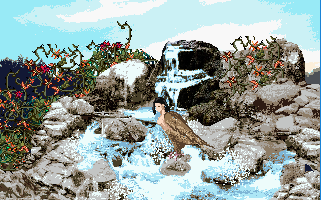 A siren, half-woman, half-bird is doing her very best to live peacefully on her remote little island. 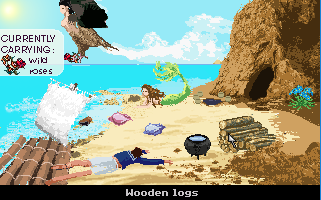 But how can one hope for some peace and quiet if, for some weird reason, human sailors just won't stop washing ashore? A short but cute story with some good puzzles and great pixel art. It's a cute short game with good original graphics. 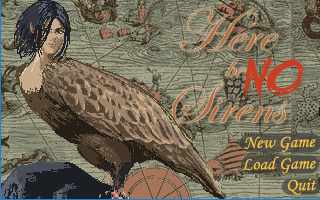 The original myth of sirens is quite sinister but you've made it a funny and interesting story. I also like the fact that can only carry 1 item at a time, which makes sense in this context.